Trim up close. Throw the clippings out back. 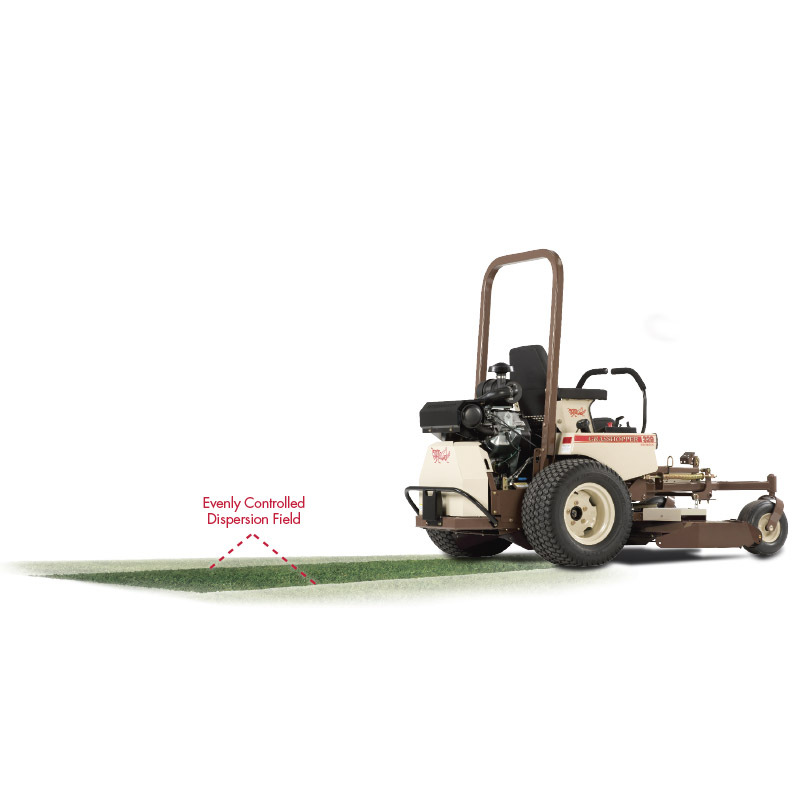 Ideal for applications where keeping clippings off sidewalks, driveways and parking lots is vital, the Grasshopper 4X Rear Discharge™ deck offers revolutionary performance, requires less horsepower to significantly reduce fuel costs and increases mowing flexibility. The deck's unique four-spindle design evenly distributes clippings out the back of the deck, eliminates windrowing and helps reduce material buildup in the engine compartment for cleaner operation. Well suited for use in cemeteries, the 4X Rear Discharge™ deck allows trimming around stones on either side of the deck, while the rear discharge design won't leave clippings on the stones. Available in 48-, 52-, 61- and 72-inch cutting widths. Extra-deep, 5.5-inch decks facilitate superior airflow, while a four-spindle design spreads the load of clippings and debris and channels it through the rear of the deck. Rear discharge allows operators to trim on either side of the deck, reducing hand trimming and eliminating time-consuming blowing after mowing. Sentry™ spindle design with 8-inch spindle housing, 6-bolt pattern and Sentry™ cone guards protect the spindle shaft from material wrap. Anvil-edged deck with 1/2-inch-thick formed steel leading edge features 7-gauge skirts and geometrically engineered design for superior impact protection that will withstand the punishments of commercial mowing. Lower horsepower requirements are a perfect complement to Grasshopper MaxTorque™ diesel units to maximize fuel savings. An ideal match for Grasshopper's Edge-EZE™ edger. The edger can be mounted on either side of the deck for enhanced flexibility.